The Pentagon is going to make one cloud vendor exceedingly happy when it chooses the winner of the $10 billion, ten-year enterprise cloud project dubbed the Joint Enterprise Defense Infrastructure (or JEDI for short). 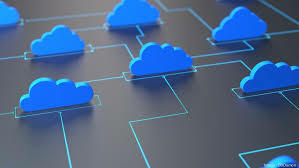 The contract is designed to establish the cloud technology strategy for the military over the next 10 years as it begins to take advantage of current trends like Internet of Things, artificial intelligence and big data. Larry Ellison, chairman of Oracle Corp.